18/03/2019_Workshop at World Puppetry Day Event, Jordan. 19/03/2019_Workshop at World Puppetry Day Event, Jordan. 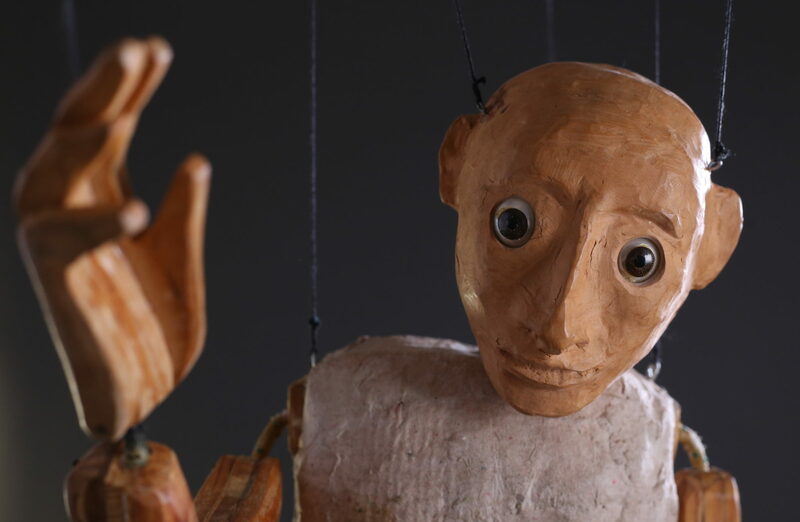 20/03/2019_Workshop at World Puppetry Day Event, Jordan. 21/03/2019_Workshop at World Puppetry Day Event, Jordan. 22/03/2019_World Puppetry Day Event, Jordan. 23/03/2019_World Puppetry Day Event, Jordan. 01/04/2019_Hors Lits 8 Offida, Italy. 02/04/2019_Hors Lits 8 Offida, Italy. 03/04/2019_Hors Lits 8 Offida, Italy. 12/04/2019_City of Wings Festival, Ypres, Belgium. 13/04/2019_City of Wings Festival, Ypres, Belgium. 14/04/2019_City of Wings Festival, Ypres, Belgium. 17/04/2019_Workshop at Festival In Fonte Veritas, Florence, Italy. 18/04/2019_Workshop at Festival In Fonte Veritas, Florence, Italy. 19/04/2019_Workshop at Festival In Fonte Veritas, Florence, Italy. 20/04/2019_Workshop at Festival In Fonte Veritas, Florence, Italy. 11/05/2019_festival de titeres de Gavà, Spain. 12/05/2019_festival de titeres de Gavà, Spain. 21/05/2019_Festival de titeres de Sevilla, Spain. 23/05/2019_Festival de titeres de Sevilla, Spain. 25/05/2019_Bisontere Festival, Santillana de Mar, Spain. 30/05/2019_Festival Teatro de Marionetas de Maozorra, Portugal. 01/06/2019_Festival Teatro de Marionetas de Maozorra, Portugal. 30/06/2019_Les Festives à l'Agny, France. 17/08/2019_ Arcen Bike Event, Holland. 18/08/2019_ Arcen Bike Event, Holland. 24/08/2019_ International FOF, Offida, Italy. 25/08/2019_ International FOF, Offida, Italy. 26/08/2019_ International FOF, Offida, Italy. 14/09/2019_Festival Les Hommes Forts, Givors, France. 20/09/2019_Festival Mondial Des Theatres De Marionettes, Charleville, France. 21/09/2019_Festival Mondial Des Theatres De Marionettes, Charleville, France. 22/09/2019_Festival Mondial Des Theatres De Marionettes, Charleville, France. 23/09/2019_Festival Mondial Des Theatres De Marionettes, Charleville, France. 24/09/2019_Festival Mondial Des Theatres De Marionettes, Charleville, France. 25/09/2019_Festival Mondial Des Theatres De Marionettes, Charleville, France. 26/09/2019_Festival Mondial Des Theatres De Marionettes, Charleville, France. 27/09/2019_Festival Mondial Des Theatres De Marionettes, Charleville, France. 28/09/2019_Festival Mondial Des Theatres De Marionettes, Charleville, France. 29/09/2019_Festival Mondial Des Theatres De Marionettes, Charleville, France. 12/10/2019_Tunbridge Wells Puppet Festival, England. 13/10/2019_Tunbridge Wells Puppet Festival, England. 22/10/2019_ Kazan Puppet Festival, Kazan, Russia. 23/10/2019_ Kazan Puppet Festival, Kazan, Russia. 24/10/2019_ Kazan Puppet Festival, Kazan, Russia. 25/10/2019_ Kazan Puppet Festival, Kazan, Russia. 26/10/2019_ Kazan Puppet Festival, Kazan, Russia. 27/10/2019_ Kazan Puppet Festival, Kazan, Russia. 28/10/2019_ Kazan Puppet Festival, Kazan, Russia. 29/10/2019_ Puppet Theater, Moscow, Russia. 30/10/2019_ Puppet Theater, Moscow, Russia. 31/10/2019_ Puppet Theater, Moscow, Russia. 14/12/2019_Teatro Serpente Aureo, Offida, Italy. Arezzo, Italy. *Winners "Best show"! 18/02/2018_Ishara Puppet Festival, New Delhi, India. 19/02/2018_Ishara Puppet Festival, New Delhi, India. 20/02/2018_Ishara Puppet Festival, New Delhi, India. 21/02/2018_Ishara Puppet Festival, New Delhi, India. 22/02/2018_Ishara Puppet Festival, New Delhi, India. 23/02/2018_Ishara Puppet Festival, New Delhi, India. 24/02/2018_Ishara Puppet Festival, New Delhi, India. 25/02/2018_Ishara Puppet Festival, New Delhi, India. 26/02/2018_Ishara Puppet Festival, New Delhi, India. 27/02/2018_Ishara Puppet Festival, New Delhi, India. 28/02/2018_Ishara Puppet Festival, New Delhi, India. 13/03/2018_St. Andrew's Grammar School, Australia. 30/03/2018_Fremantle Street Arts Festival, Australia. 31/03/2018_Fremantle Street Arts Festival, Australia. 01/04/2018_Fremantle Street Arts Festival, Australia. 02/04/2018_Fremantle Street Arts Festival, Australia. bagno a Ripoli, Firenze, Italy. 04/05/2018_Feria de Titeres de Lleida, Spain. 05/05/2018_Feria de Titeres de Lleida, Spain. 06/05/2018_Feria de Titeres de Lleida, Spain. 01/06/2018_Festival Art de Rue, Sion, Switzerland. 02/06/2018_Festival Art de Rue, Sion, Switzerland. 14/06/2018_Artisti in Piazza, Pennabilli, Italy. 15/06/2018_Artisti in Piazza, Pennabilli, Italy. 16/06/2018_Artisti in Piazza, Pennabilli, Italy. 17/06/2018_Artisti in Piazza, Pennabilli, Italy. 20/06/2018_Hors Lits Offida, Offida, Italy. 21/06/2018_Hors Lits Offida, Offida, Italy. 24/06/2018_Zoomer in de Mare, Alkmaar, Holland. 28/06/2018_Festival "Che Figura", Venturi, Italy. 14/07/2018_Festival "Piazze in Scena" Valdagni, Italy. 29/09/2018_Chuncheon Puppet Festival, South Korea. 30/09/2018_Chuncheon Puppet Festival, South Korea. 31/09/2018_Chuncheon Puppet Festival, South Korea. 01/10/2018_Chuncheon Puppet Festival, South Korea. 02/10/2018_Chuncheon Puppet Festival, South Korea. 03/10/2018_Chuncheon Puppet Festival, South Korea. 04/10/2018_Chuncheon Puppet Festival, South Korea. 12/02/2017_Teatro del cerchio, Parma, Italy. 11/03/2017_Teatro la Perla, spettacolo "Entry"
20/05/2017_Taller de Pepe Otal, Barcelona, Spain. 24/06/2017_Teatro Villa Pamphili, Roma, Italy. 15/07/2017_Festival Scarti di Strada, Arsoli, Italy. 16/07/2017_Festival Scarti di Strada, Arsoli, Italy. 04/08/2017_Festa dei Matti Matelica, Italy. 01/09/2017_ Arlequi festival, Mollet, Spain. 02/09/2017_ Arlequi festival, Mollet, Spain. 03/09/2017_ Arlequi festival, Mollet, Spain. 09/09/2017_Almelo Kunsten Op Straat, Holland. 01/10/2017_Festival Arrivano dal Mare, Italy. 08/10/2017_La fiera del teatro di Sarmede, Italy. 03/12/2017_Teatro casa di Pulcinella, Bari, Italy. 04/12/2017_Teatro casa di Pulcinella, Bari, Italy. 13/01/2016_Hors Lits Offida 3, Italy. 14/01/2016_Hors Lits Offida 3, Italy. 04/02/2016_Our Lady of Mission Group, Perth, Australia. 10/02/2016_Fringe World Festival Perth, Australia. 14/02/2016_Fringe World Festival Perth, Australia. 15/02/2016_Fringe World Festival Perth, Australia. 16/02/2016_Fringe World Festival Perth, Australia. 17/02/2016_Fringe World Festival Perth, Australia. 18/02/2016_Fringe World Festival Perth, Australia. 20/02/2016_Fringe World Festival Perth, Australia. 21/02/2016_Fringe World Festival Perth, Australia. 22/02/2016_Fringe World Festival Perth, Australia. 07/03/2016_HATS school shows, Adelaide, Australia. 08/03/2016_HATS school shows, Adelaide, Australia. 09/03/2016_HATS school shows, Adelaide, Australia. 26/03/2016_Fremantle street art festival, Australia. 27/03/2016_Fremantle street art festival, Australia. 28/03/2016_Fremantle street art festival, Australia. 06/05/2016_ Sant Gallen Aufgetischt, Switzerland. 07/05/2016_ Sant Gallen Aufgetischt, Switzerland. 29/05/2016_Cantine Aperte, vini San Lorenzo, (Te), Italy. 11/06/2016_Rue et Cies, Epinal, France. 12/06/2016_Rue et Cies, Epinal, France. 15/06/2016_Hors Lits Offida 4, Italia. 16/06/2016_Hors Lits Offida 4, Italy. 17/06/2016_La Luna è Azzurra, San Miniato, Italy. 18/06/2016_La Luna è Azzurra, San Miniato, Italy. 19/06/2016_La Luna è Azzurra, San Miniato, Italy. 03/09/2016_Arlequi Festival, Mollet, Barcelona, Spain. 04/09/2016_Arlequi Festival, Mollet, Barcelona, Spain. 19/11/2016_Raggi di FOF, Offida, Italy. 20/11/2016_Raggi di FOF, Offida, Italy. 14/01/2015_Festival Hors Lits Offida, Italy. 15/01/2015_Festival Hors Lits Offida, Italy. 07/03/2015_Casa circondariale di Pesaro, Italy. 23/03/2015_Puerto del Rosario, Fuerteventura, Spain. 24/03/2015_Raiz de el Pueblo, Fuerteventura, Spain. 24/04/2015_International School of Louisiana, USA. 25/04/2015_Jazz and Heritage festival New Orleans, USA. 27/04/2015_Shadow box Theater, NEw Orleans, USA. 01/05/2015_Calliope Puppet Studio, New Orleans, USA. 05/05/2015_ Hors Lits Barcellona, Spain. 06/05/2015_ Hors Lits Barcellona, Spain. 07/05/2015_ Hors Lits Barcellona, Spain. 10/06/2015_Hors Lits Offida II, Italia. 11/06/2015_Hors Lits Offida II, Italy. 13/06/2015_"Cuori di Legno"Rue et Ciel, Epinal, France. 14/06/2015_"Cuori di Legno"Rue et Ciel, Epinal, France. 20/06/2015_"Cuori di Legno" Veregastreet, Italy. 21/06/2015_"Cuori di Legno" Veregastreet, Italy. 22/06/2015_"Cuori di Legno" Veregastreet, Italy. 04/07/2015_Ama Festival, Castel di Lama, Italy. 05/07/2015_Ama Festival, Castel di Lama, Italy. 17/07/2015_ Bamberg Zaubert Festival, Germany. 18/07/2015_ Bamberg Zaubert Festival, Germany. 19/07/2015_ Bamberg Zaubert Festival, Germany. 25/07/2015_Jazz wine fest Offida, Italy. 10/08/2015_"Cuori di Legno", Magic Castle Gradara, Italy. 11/08/2015_"Cuori di Legno", Magic Castle Gradara, Italy. 12/08/2015_"Cuori di Legno", Magic Castle Gradara, Italy. 31/10/2015_Festa Mela rosa Montedinove, Italiy. 01/11/2015_Festa Mela rosa Montedinove, Italy. 19/11/2015_La navicella comunità per ragazzi, Ascoli, Italy.